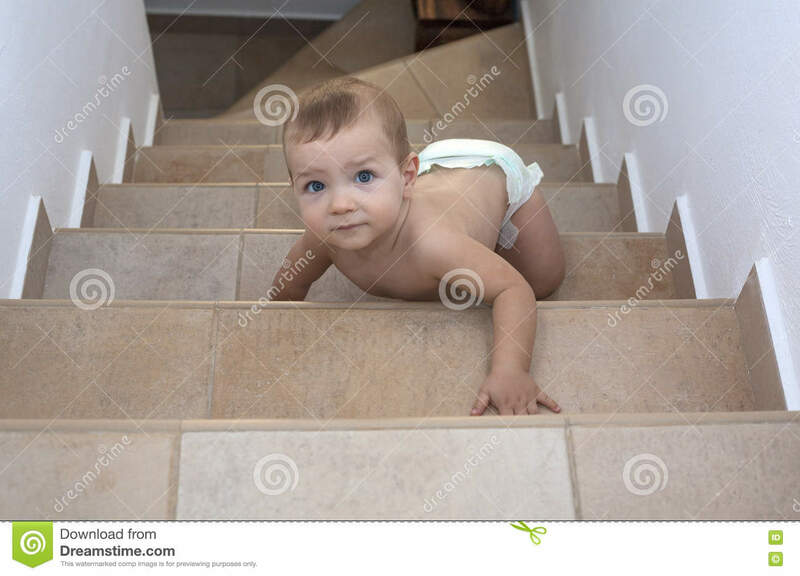 (RxWiki News) Whether your child is starting to crawl or has just been born, it’s never too early to childproof your home. Check out these seven easy steps. Make sure harmful products are stored out of the reach of children, preferably in a drawer or cabinet with a safety latch or lock. These items include but are not limited to cleaning products (all-purpose cleaners, bleach, and laundry and dishwashing detergent, including pods and packets). Other products to be mindful of are personal products like nail polish, nail polish remover, perfume, aftershave and razors. Also remove medications from children's reach. That includes over-the-counter medications and herbal and nutritional supplements. Do a sweep of the house for small items that can easily be ingested and are choking hazards. Verify that the covers for remote controls and similar items are secured — children can ingest batteries, which can be very dangerous. Make sure you account for personal belongings like purses, computer bags and work bags. They may contain items like coins and medicine that your child can easily access. Place your belongings out of children's reach. Also, keep the trash can in mind. Children may get into the trash and find items that can harm them. Now that you know which items to remove from your child’s reach, make sure these items are secured. This will help prevent access, poisonings and injuries. Items to secure include medications, household cleaning products, knives and matches. When you're looking to buy safety latches and locks, look for products that cannot be easily opened by children but can be easily used by adults. Install safety gates at stairs or in the doorways of rooms you don’t want your child to access. When you're buying safety gates, makes sure a child cannot easily open them. If you are looking to install a gate at the top of the stairs, purchase a gate that screws into the wall. If you have gates already, makes sure they do not have “V” shapes. The design of these older gates makes them large enough that a child’s head and neck can become stuck. Install doorknob covers for rooms you do not want children to enter. However, make sure the doorknob covers you select will allow an adult to open the door during an emergency. Installing these covers will help prevent electrical shocks and possible electrocutions. When selecting outlet covers, make sure they are designed so that children cannot easily remove them. And make sure they are not a choking hazard. This becomes more important when your child is starting to crawl or walk. Without these bumpers, unprotected corners and edges may result in injury. Furniture, televisions, and appliances can easily tip over and fall on children. These types of accidents are common and can be deadly. To avoid these incidents, make sure to secure (anchor) these items to the wall or floor. Dangerous items include but are not limited to TV stands, bookcases, bedroom furniture (dressers, chests, etc. ), desks and stoves. Window guards and safety netting are important tools to prevent accidental falls from windows and balconies. Double-check that they are properly installed and secured. If you install window guard bars, make sure each room has at least one window that can be easily used to escape in an emergency situation. It is important to note that window screens do not prevent children from falling out of windows. Children can become entangled in the cords of window blinds, which can result in strangulation. Whenever possible, use cordless window coverings. If you have window blinds from 2000 or earlier, be sure to either use cord shorteners or wind-ups or cut off the pull cords to keep them out of reach. If you cannot replace older window blinds with cordless window coverings, call the Window Covering Safety Council at 1-800-506-4636 or visit WindowCoverings.org for a free repair kit to help you retrofit them. It is important to note that these repair kits do not address the dangling pull cord hazard. This is not a complete list of tips. For example, if you have a pool or spa in your home, you'll need to properly secure the area around the water. Speak with your health care provider if you have any questions about keeping your child safe in your home.